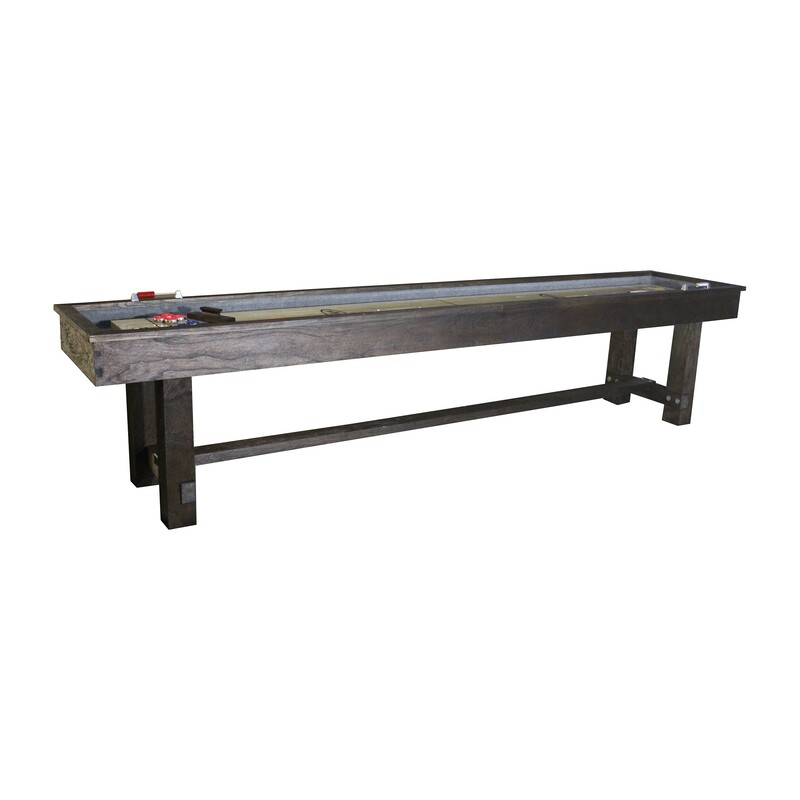 9′ Reno Rustic Shuffleboard (Weathered Dark Chestnut) | Fun! Combine with the Reno 8-ft. or 7-ft. 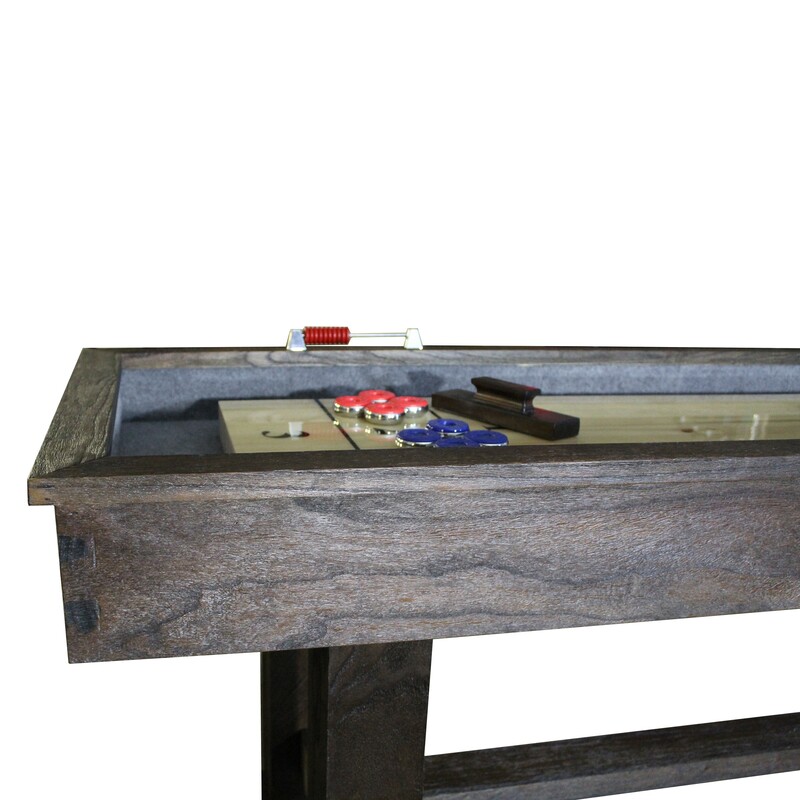 Pool Table to complete your game room. 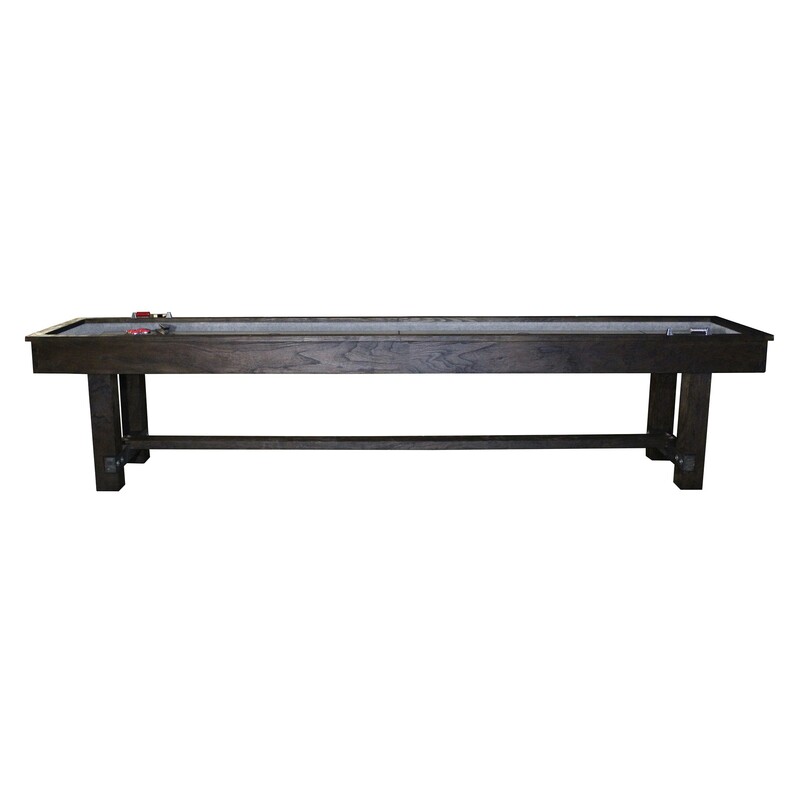 The Imperial Reno Rustic 9-foot Shuffleboard Table is an authentic pub style table. Made of solid Aspen with an Elm veneer. and finished a weathered dark chestnut. 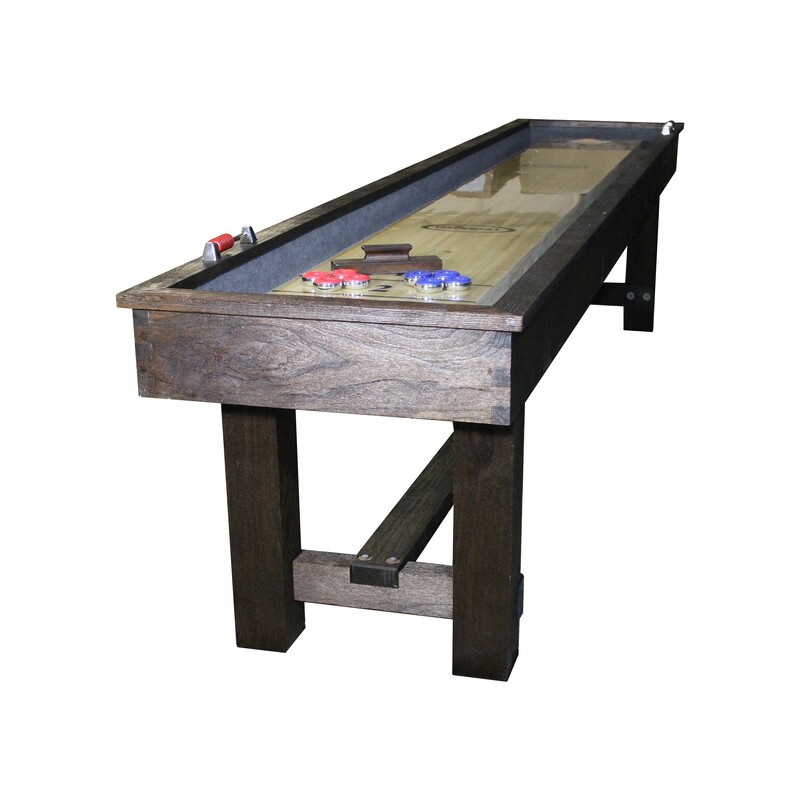 The table has a 1.7-inch (44mm) solid wood playing surface to provide great puck slide. Playfield is 2″ thick playfield with a 1/8″ polymer seal. Solid wood post legs with crossbeams provide a unique look and adds stability. 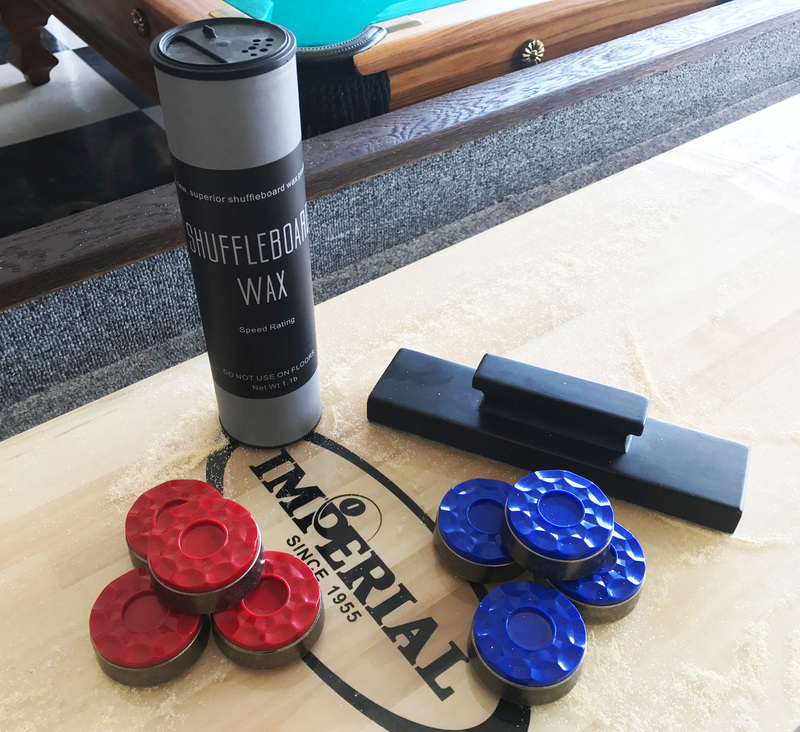 Includes 4 red and 4 blue shuffle pucks, two side mounted scoring markers, can of powder, and a playfield brush. Overall game size: 108L x 28W x 32H inches.